It all starts with beads and a bit of beading wire. All of my beadwork is done by hand, using only my fingers and a few simple tools. 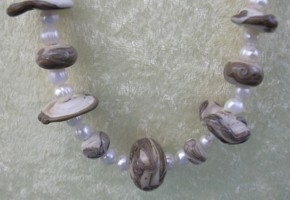 I use my own lampworked beads, glass beads, and a lot of natural gemstones in my work.